Many gun-dog owners can relate to that sinking feeling. You’ve trained hard all summer, and your pooch is a machine, remaining steady until released, marking birds with uncanny proficiency, and taking whistle commands and hand signals like a robot. Then duck season arrives, and Rover barrels into the water the first time a safety clicks off and acts like he’s never heard “back” before. Meanwhile, your frustration builds, and hunting becomes a test rather than recreation. You feel like giving up. Don’t panic. Yes, dogs can seemingly regress or succumb to temptation when the game is real instead of simulated, as during training. But you can take steps before and during hunts to help your canine partner avoid failure. The tips offered here represent a gross oversimplification of training and hunting considerations required to mold a successful field dog. However, they might provide a general guide to set you in the right direction. At first, that subhead seems idiotic, but think about it. Too many of us get in training ruts and run our dogs in comfortable, familiar situations. We train at the same spot time and again, giving our pooch some open-water marks, easy hand signals and back casts on mowed paths. Then, opening day of duck season presents unfamiliar situations, and the dog seems bewildered. You could write a book on this — again, refer to Mr. Dokken’s excellent instructional manual — but it boils down this: After your dog has mastered the basics, you must train for situations you’ll encounter afield. 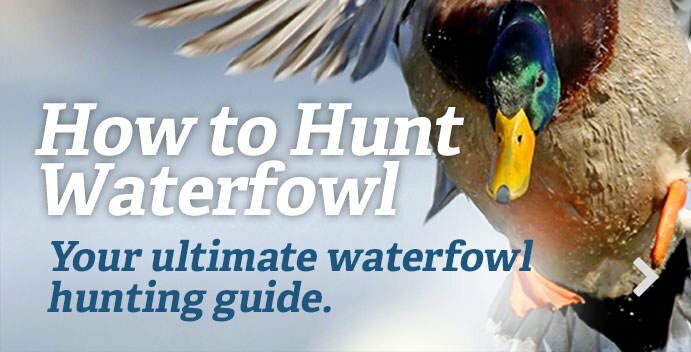 Incorporate gunshots and live birds into your off-season regimen. It’s easy to steady a dog when you’re throwing dummies. However, a fluttering pigeon and two shotgun blasts can turn your pooch inside out. Work to steady your dog against those temptations so he doesn’t burst from the boat when the opening-day volleys begin. Speaking of boats, make sure your dog is accustomed to sitting still in moving watercraft and entering the water from them. If your rig has a platform, acclimate your pooch to sitting there and jumping into the water from it. More important, work out a system so the dog can easily re-enter the boat or skiff. Train your canine partner with other dogs. Competition can lead to bad behavior, so navigate that before the season. Make sure your dog understands that it must remain steady and comply with all commands when another pooch retrieves a bird. Work especially hard at running your dog on straight lines through and over cover. I learned this the hard way, as my first retriever often stopped at the far bank of a slough or lake and began hunting left and right for a bird that actually dropped several yards farther back in cover. It doesn’t take too much instruction to familiarize your pup with land-water-land retrieves. Train at various locations. Dogs are extremely place-oriented, and familiar situations lead to complacency. Run various drills at different spots. Above all, continue to challenge your dog and add training difficulties that simulate situations you’ll encounter during the season. Don’t worry when your pup makes mistakes, either. Correct him. That’s how dogs and trainers learn. Make sure your dog can see birds fall. Thick cover — think tall cattails or wild rice — creates difficult marking conditions, especially at a dog’s eye level. Help your buddy out. Make sure he has a reasonable opening in natural cover or your blind so he can see birds fall. Or, hunt him from a platform, provided he remains still and steady. If your dog misses a mark, help him. Calmly give him hand signals, and be patient if he doesn’t follow them perfectly. Keep a bag of pebbles handy for emergencies. Yes, this sounds like a bush-league work-around, but seriously, tossing a rock toward a downed bird can get your dog started in the right direction and save you lots of effort and frustration. No, it’s not ideal, but it works, and you can train to improve your dog’s handling skills later. Make sure you maintain control of your dog in the marsh. You don’t want him leaping from the boat when a coot swims by or getting into potentially dangerous situations. A good e-collar helps reinforce the basics, such as come, sit, heel, stay and other obedience commands. Moreover, don’t let seemingly innocent bad habits creep into your dog’s behavior. Little bad habits quickly grow into big bad habits — always. For example, retrievers often drop birds when they climb into a boat because they want to shake water off their coats. That’s unacceptable, and you must correct it immediately. Hold means hold until you command the dog to drop the bird. It’s easy to ignore tiny behavioral quirks and tell yourself you’ll address them during the off-season. However, not correcting your dog at each mistake merely tells him it’s OK. Stay with it. Treat your dog well during a hunt. It’s easy to neglect this, as our pooches are so well adapted for harsh weather and back-breaking work. Bring plenty of water and some treats. Always have a first-aid kit handy for the nicks, cuts and scrapes common in duck hunting. If your pooch will be navigating rough cover or breaking ice, consider protecting him with a neoprene vest. Bring a towel to dry him off after hunting, and make sure his ride home — whether in a kennel or truck — is comfortable. Above all, do not lose your temper when your dog blows it or succumbs to poor behavior while hunting. Getting mad and yelling at your dog solves nothing. Calmly working to correct mistakes pays great dividends. Remember, your dog loves you more than anything, and he’s not trying to ruin your day. Any deficiencies in training must be addressed by looking in the mirror. Help your dog by hunting him in situations geared toward success. Trust his nose — that’s why he’s there. Worry more about his behavior than your hunting success. If that means you work with your dog while your buddy shoots, so be it. You and your dog have embarked on a journey together. You’ll each stumble and fail at points along the way. Work with your canine partner to overcome mistakes and deficiencies. Your buddy will pay you back a hundred-fold with the birds he finds and delivers to you.